Save $100 per person if booked 4 months in advance to enjoy a 8-night stay and explore the sights of Egypt! 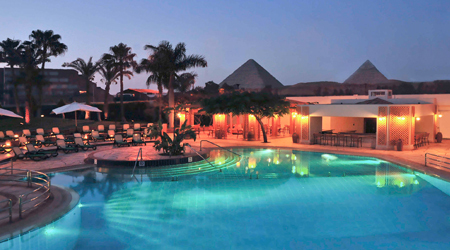 EGYPT LAND, DOMESTIC AND INTERNATIONAL AIR COSTS: $2095 CAD - $2395 CAD * per person sharing. 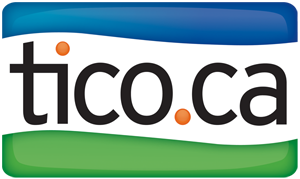 VALIDITY: January 14, 2019 - September 16, 2019 * (Depending on seasonality, departure location and number of travellers). HURRY, OFFER ENDS SEPTEMBER 16, 2019! Today you will depart on flight to Cairo. Welcome to Cairo, Egypt, the birth of civilization. Purchase your Egyptian Visa then clear customs and immigration. 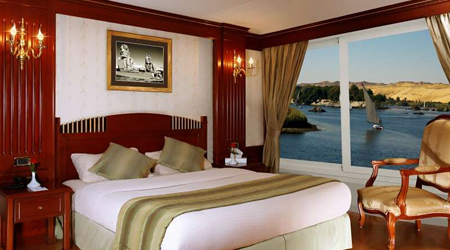 You will be warmly welcomed by a Tourcan Vacations representative and transferred to your hotel. Start your day with a guided tour of the Egyptian Museum where you will find artifacts of the Pharaonic era and the treasures of King Tutankhamen's tomb. Drive to Old Cairo, where early Judaism and Christianity flourished in Egypt. Visit the Ben Ezra Synagogue and Saint Sergius Church. After lunch, drive to the Citadel of Saladin and visit Mohamed Ali Alabaster Mosque. Enjoy a walking tour of the largest 13th century covered oriental market, Khan El Khalili Bazaar. After breakfast, a scenic drive will take you to the Pyramids & Sphinx of Giza, which have stood for the last 5000 years. Complete your visit at Giza with a tour of the Solar Boat Museum. After lunch, continue to the ancient city of Memphis, the first capital of United Upper and Lower Egypt, and then visit Sakkara, site of the Step Pyramid of Zoser. (Optional: Return to the Pyramids area in the evening for a Sound & Light Show). Transfer to Cairo domestic airport for your flight to Aswan. 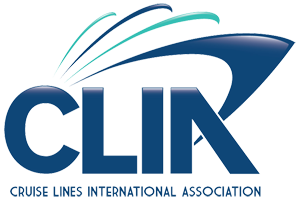 Upon arrival you will be escorted to your cruise ship where you will spend the next 3 nights. You will visit the High Dam, the Granite Quarries with the Unfinished Obelisk and the Temple of Philae; view of Kitchener's Island Botanical garden by felucca, after lunch, sail to Kom Ombo where you will visit the Ptolemaic Temple of Sobek & Haroeries. 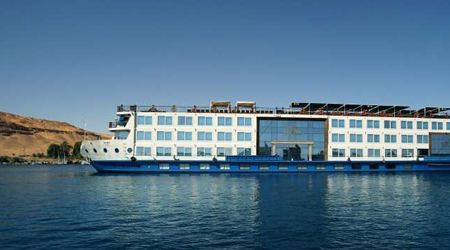 Then sail to Edfu. Travel to the Temple of Horus, the falcon-god, (237 B.C.) 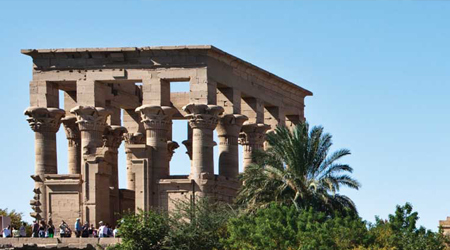 considered the best-preserved temple in Ancient Egypt and the second largest after the Temple of Karnak. Sail to Esna, passing through the Esna Lock and continue sailing towards Luxor. Visit the West Bank necropolis including the Valley of the Kings, the temple of Queen Hatshepsut at Deir El Bahari and the Colossi of Memnon. After breakfast, visit Karnak and Luxor Temples, a centuries-old city of pylons, hypostyle halls, colossal statues, shrines and obelisks. 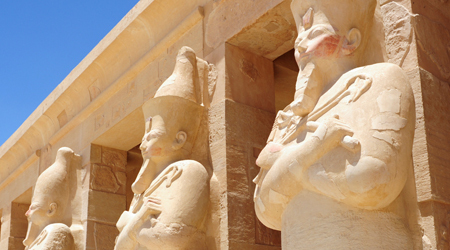 Disembarkation and transfer to Luxor airport for your flight to Cairo. Upon arrival in Cairo you will be met and escorted to your hotel. After breakfast you will be transferred to the Airport your departure flight home. Interested in Save $100 Per Person - Affordable Egypt with Tourcan Vacations?